Manufacturing recipe-based items is complicated, but the right software can help. Process manufacturing refers to the manufacturing of any recipe-based item, like cleaning products, pharmaceuticals, and food. Discrete manufacturing, on the other hand, deals with assembly-based products. Process manufacturers face a lot of difficulties when managing the manufacturing chain, as they have to manage a variety of ingredients in conjunction, while ensuring a uniform product. Fortunately, with the right software solution, you can streamline process control and ensure exceptional product quality. Discrete manufacturing focuses on the assembly of parts rather than the combining of ingredients. 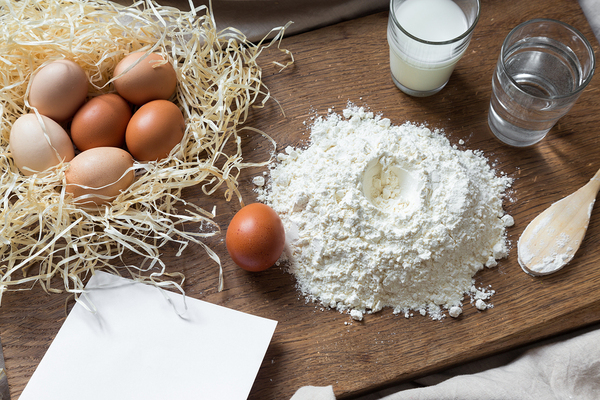 When manufacturing recipe-based items, there are any number of issues that could arise. An ingredient could be recalled, packaging requirements could change, FDA standards could change, for example. You need to be on top of all changes and be able to manage multiple problems as they arise, all while striving to get the products produced and shipped out in a timely fashion. Process manufacturers have additional compliance concerns they need to deal with. If you’re producing cleaning products that contain dangerous chemicals, you need a Risk Management Plan (RPM) and a Process Safety Management (PSM) plan. For those manufacturing food, there are a variety of regulatory requirements that need to be met regarding the labeling and packaging of food, the ingredients used, transparency in ingredients lists, and more. To be able to manage all of the compliance concerns for your industry, you need a method for monitoring compliance, tracking inventory, and staying ahead of your deadlines. You need a reliable method of managing your processes in an unpredictable industry. With an automated manufacturing software, you’ll be able to solve some of the toughest problems facing process manufacturing. Manufacturing software will streamline everything from inventory tracking to production. Ensure compliance by providing notifications of approaching deadlines. Improve inventory tracking, so you can manage all of your ingredients and ensure they are always stocked in the right quantities. Minimize waste by remaining on top of expiration dates and ordering quantities that fit your needs. Improve quality control by automating quality checks throughout the various stages of manufacturing. Manage recipes more effectively by monitoring ingredients, so you remain on top of potential allergens or restricted ingredients. Minimize the waste of both resources and labor by optimizing scheduling and the flow of manufacturing. When you’re managing dozens, if not hundreds, of perishable ingredients simultaneously, there are innumerable tasks associated with monitoring both quality and safety. By failing to comply with a single regulation, you risk compromising the success of your business. There are manufacturing software solutions that make it easier to remain on top of all aspects of manufacturing, from inventory management and ingredient monitoring to compliance issues and quality control. Stop stressing over every aspect of manufacturing and take steps to streamline the process and ensure a higher level of precision. NexTec will work with your business to understand your greatest difficulties and find a software solution that will promote compliance and simplicity. With the right software, you can manage all aspects of process manufacturing with ease, while ensuring the products are always up to code. Read the NexTec Brochure to learn more.